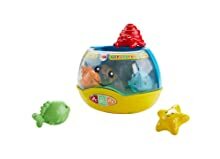 When little ones put and take their aquatic friends in and out of this 'magical' fishbowl and bat at its wibbly-wobbly base, they'll see an enchanting light show while fun songs and sounds play! 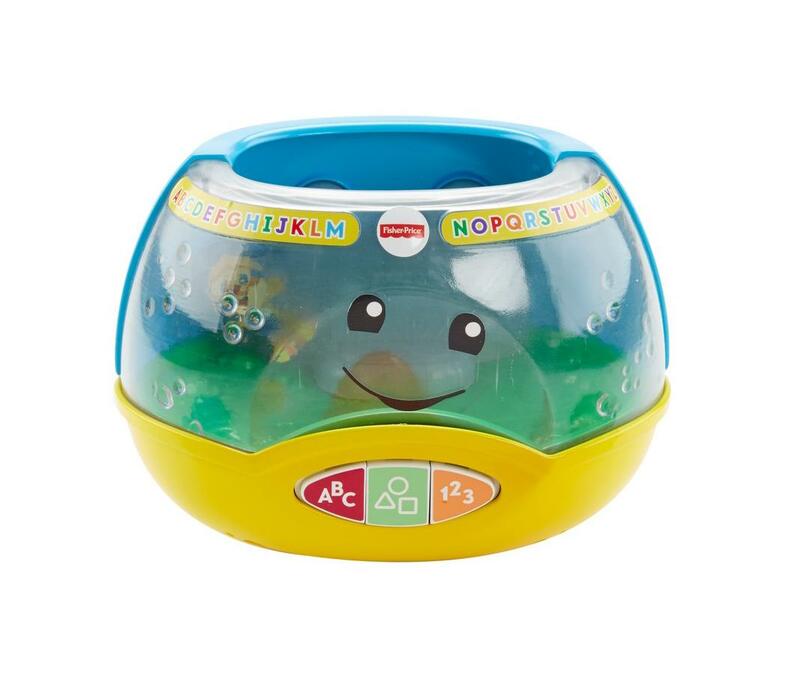 To keep the hands-on learning fun swimming along, press the three buttons on the bowl to hear all about the alphabet, shapes and numbers! 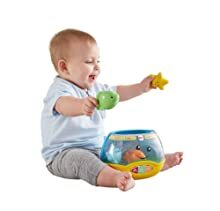 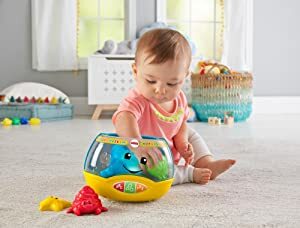 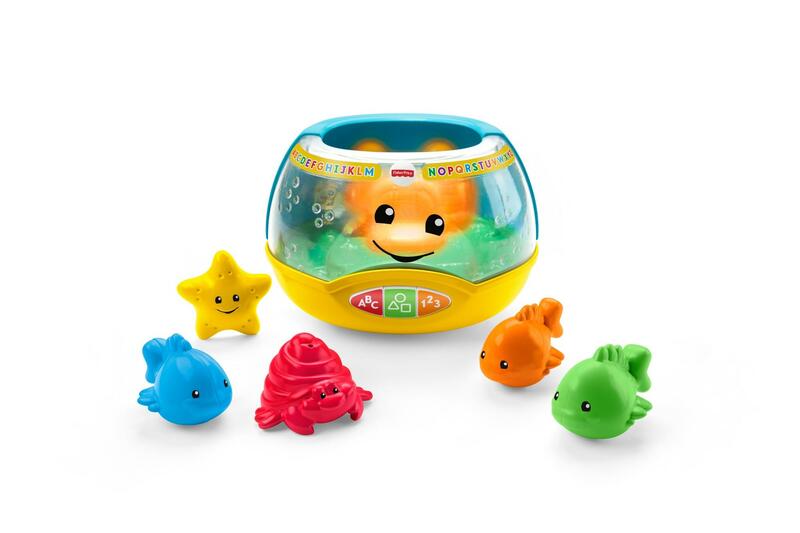 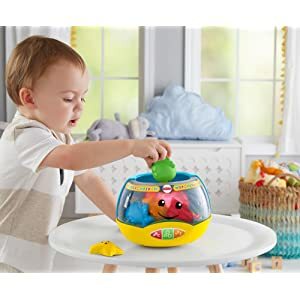 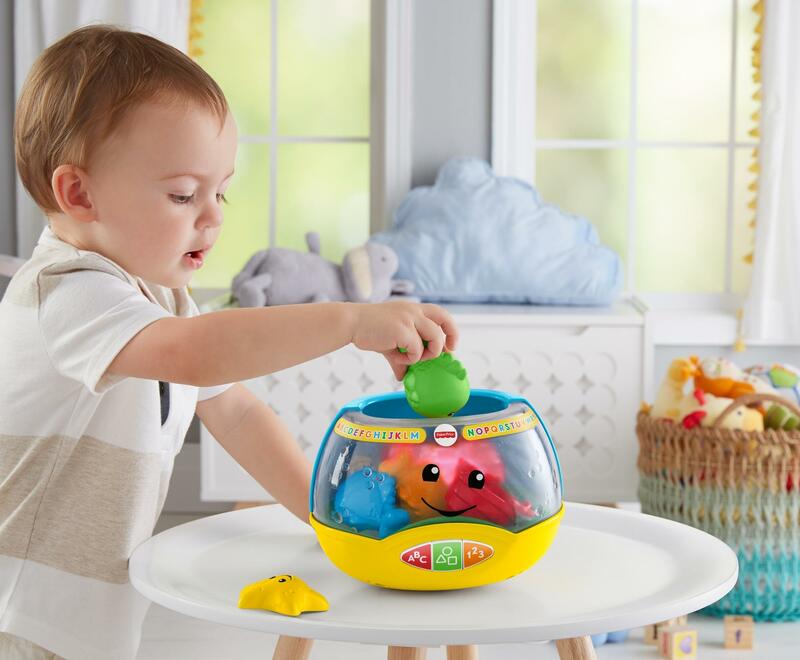 As their little hands press the buttons and rock the roly-poly fishbowl, babies are rewarded with colorful lights and fun songs and phrases that teach about shapes, colors, and counting.